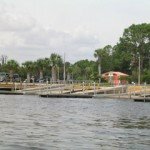 Common Names – Coosa bass, shoal bass, Flint River smallmouth, Chipola bass, black bass. NOTE: Redeye bass may not exist in Florida. Description – The red color of eyes and fins easily separates this species from other bass. Suwannee and shoal bass also have red eyes but generally have less red on fins. Redeye bass generally are brownish to greenish in color with vertical bars with light centers along their sides and are bronze-olive above, dark olive mottling, yellow-white to blue below. Has a prominent dark spot on the gill cover. Has scales on the base portion of the soft-rayed dorsal fins, clearly connected first and second dorsal fins, and an upper jaw bone that does not extend beyond the eyes. Subspecies – No known subspecies. 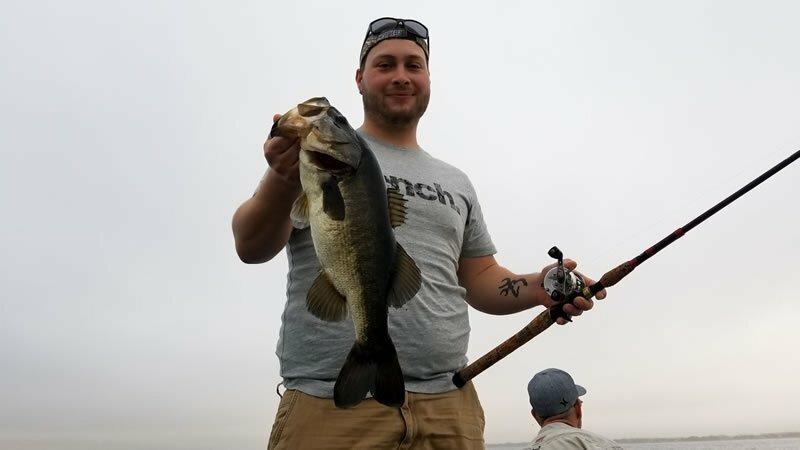 There were two widely recognized forms: the Apalachicola form, now separately described as the species–shoal bass, and the Alabama form which remains classified as a redeye bass. Range – The redeye bass of Alabama and Georgia is so rare in Florida that it is not considered a resident fish and in fact may never have been collected here. Habitat – Likely to be found in rocky runs, pools of creeks and small to medium rivers close to main-channel habitat. They are seldom found in natural lakes, pond or impoundments. Prefers a water temperature of about 65 degrees. Shoal bass in the Chipola River are closely associated with rock shoals and is uncommon in other habitats. Spawning Habits – Redeye bass spawn in coarse gravel at the heads of creek pools in late May to early July. Will not spawn in ponds or lakes. Prefers spawning temperature of 62 to 69 degrees. Like the largemouth the male prepares the nest and guards the eggs and fry. Feeding Habits – Redeye bass feed mainly on aquatic insects on the surface. They also feed on larval insects, crayfish and fish. Age and Growth – The growth rate of redeye bass is slow when compared to other species of black bass. Growth is fast the first year but decreases as the fish becomes older. Shoal bass grow much faster than redeye bass. 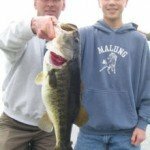 Sporting Quality – Is a good game fish and a scrappy fighter that is often difficult to catch. They can be caught on worms, minnows, or crayfish as well as small spinners and a wide variety of small surface lures. Some have been known to reach more than eight pounds. As a sport fish, specific bag and size limit regulations apply. Eating Quality – Good. Has white, flaky meat and tends to be drier than that of a largemouth. World Record – 8 pounds, 3 ounces, caught in the Flint River, Georgia in 1977. This fish was actually a shoal bass. State Record – A fish weighing 7 pounds, 13-1/4 ounces was caught in the Apalachicola River in 1989; however, the identification is controversial.